Giant globes... no, not Vicky Vale. 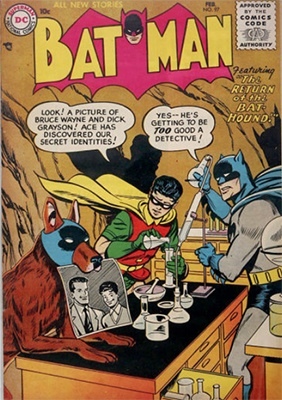 Debut of Ace, the Bat-Hound. 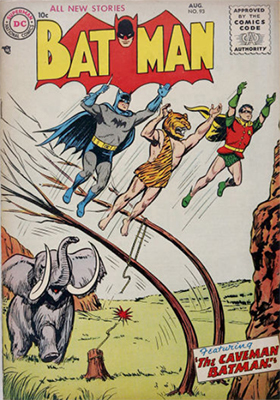 Holy Bow-Wow Batman! 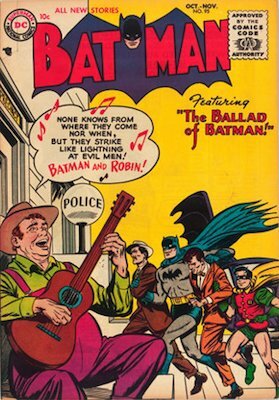 Among the sillier of the supporting cast of Batman characters introduced by DC Comics. 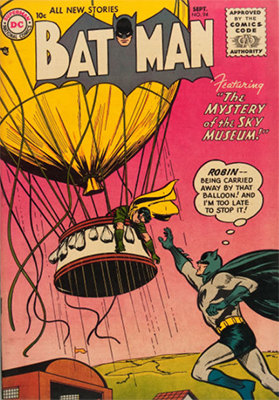 This issue is full of hot air. 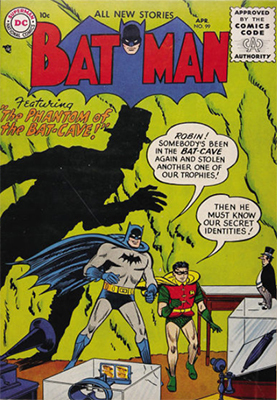 Arguably, the last appearance of the "Earth-Two", or Golden Age Batman. Others place the line of demarcation elsewhere. 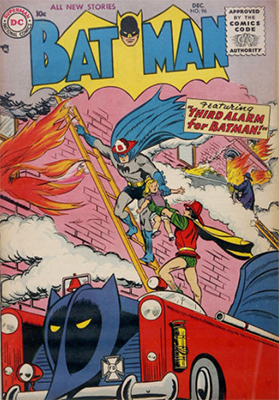 Perhaps the only appearance of cranberry dungarees on a Batman comic book cover. 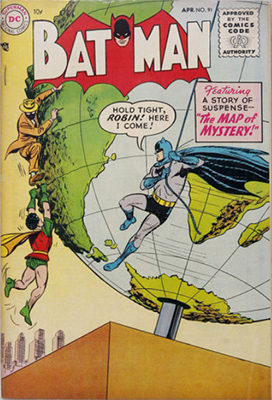 According to some, the first appearance of the "Earth-One" or Silver Age Batman. 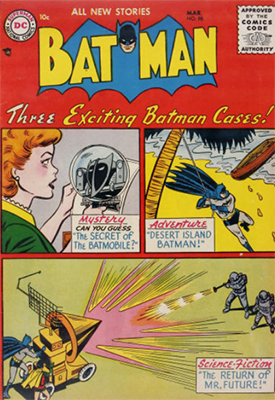 Odd, since the Silver Age hadn't yet begun. 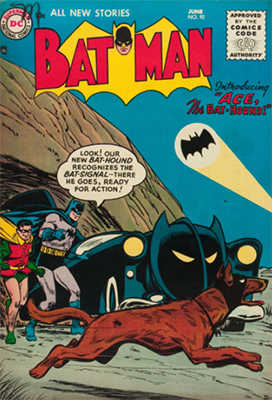 Ace, the Bat-Hound, on the cover! 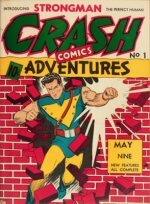 If all else fails, put out an anthology issue! 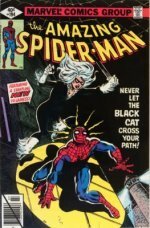 The 100th issue is always an important landmark in any series, and highly collectible in its own right as a consequence. 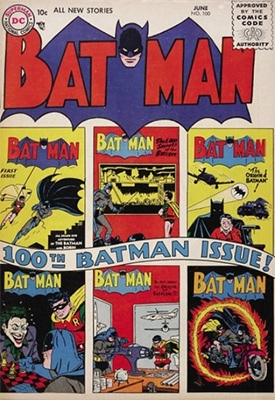 Features six of the most famous covers from the previous 99, including the cover to #1, which is perhaps the closest that most of us will ever come to owning one.